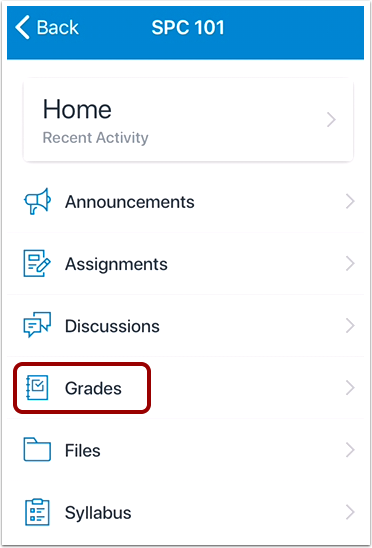 How do I view grades in the Student app on my iOS device? You can view your grades in the Canvas Student app. Grades can also be viewed as a Course Navigation link. However, the Course Navigation menu matches the browser version of your Canvas course. 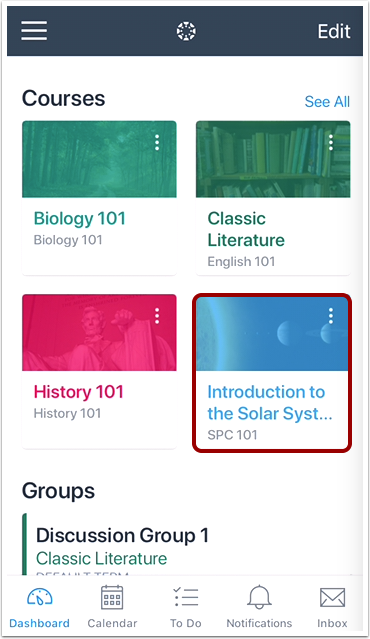 If Grades is not available in Course Navigation, it will also be hidden from view in the app. 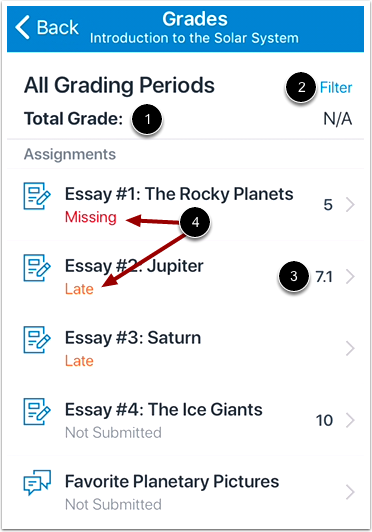 If your course is using Multiple Grading Periods, you can filter grades by grading period. 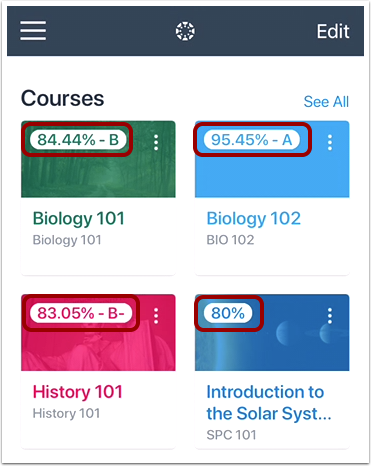 If your course is not using Multiple Grading Periods, the Grades page shows all assignments and grades for the entire course. If the Dashboard does not show a total grade, there are no active grading periods in your course. You can also view your grades by adding a Canvas widget to your iOS device. To view your course grade in the Dashboard, tap the Show Grades button. Your grades will display on each course card on your Dashboard. Grades are shown according to the grading scheme for the course (percentage, letter grade, etc.). 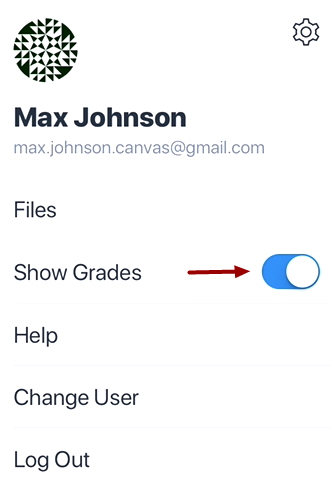 To hide course grades in the Dashboard, open the User Menu and tap the Show Grades button. 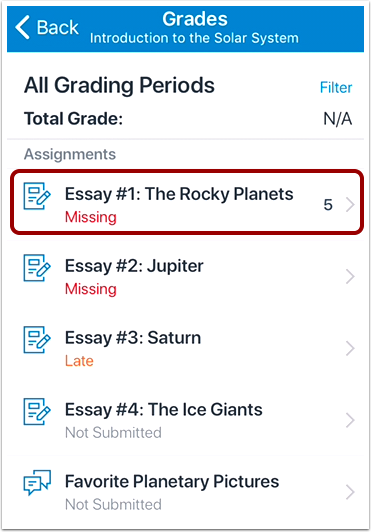 You can also view grades for each individual assignment in your course. Note: You may have to swipe your screen to view the Grades link. Your total score appears at the top of the page . If your course is using Multiple Grading Periods, you can also filter grades by grading period . If a grade has been awarded for an assignment, the assignment displays the score you have earned . Grades also include labels for late, missing, and unsubmitted assignments . To view the details of an assignment including any comments from your instructor, tap the assignment name. 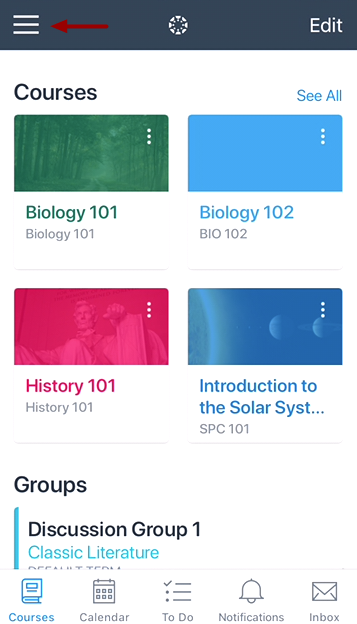 Previous Topic:How do I view Course Files in the Student app on my iOS device? Next Topic:How do I choose an assignment group in a module in the Student app on my iOS device? Table of Contents > Course Features > How do I view grades in the Student app on my iOS device?